The John Innes Centre is a world-class research centre for biosciences. Due to our size and scope, we have excellent research facilities, particularly in the platform technologies that underpin modern molecular biology. As a result we have an outstanding record of publications in high profile journals. As a Postgraduate student you will be supervised as part of small interactive research teams by supervisors with international reputations in their fields. There is a vigorous and self-supporting student community.  We have very close links with the University of East Anglia and are a core member of the Norwich Research Park which employs around 2,000 scientists with 13,000 students, 10,000 undergraduates and 3,300 postgraduates. This ensures the highest standards of supervisory practice and mentoring for graduate students. There is also full access to joint courses designed to develop generic professional skills. The strategic relevance and strong industrial links that underpin our research provide an excellent springboard for a diversity of careers in academia, industrial research or in the increasing range of science-related careers. The John Innes Student Voice Commitee (JSV) organises seminars, poster sessions, social events and other activities, while representing the students of the Norwich Bioscience Institutes. The JSV organises several social events throughout the year, including annual Christmas and summer parties, hosted on site in the purpose-built recreation centre bar. Each year there is also a student away day. In addition to these events, in the past the SVC has helped organise themed party nights, sports days, pub quizzes, open mic nights and pool-side BBQs. Through these events the SVC is at the heart of the social life. The JSV organises a monthly seminar series, at which students can present their current work to a casual, friendly audience of fellow students. These are great practise for giving talks at conferences or in lab meetings, and are always accompanied by cake and coffee. The JSV also runs the student poster competition at the John Innes Centre and Sainsbury Laboratory Annual Science Meeting, with the winners being invited to talk at the student-only Student Annual Science Meeting in the spring. This meeting is also run by the JSV, and is accompanied by a popular wine and cheese networking session. In addition, for the last few years the JSV has helped organise a joint conference with the University of Cambridge, called the Norwich and Cambridge Student Symposium (NoCaSS). This is a great chance to network and learn. By utilising the wealth of connections the we have to industry and academia, the JSV is able invite external speakers to run careers events that allow students to make informed decisions about their future. The JSV also has a large online presence, with an active Twitter feed and a student-run blog. The blog gives students the opportunity to communicate interesting science to the wider community in a relaxed and casual setting. On top of this, the JSV helps find volunteers for the numerous outreach opportunities available, including school visits and public science fairs, both in Norwich and across the UK. In addition to organising and running social, scientific and careers events, the JSV elects student representatives to the various committees that direct policy in a number of areas. This includes representatives for central management, graduate studies, catering, the library, the Friday Seminar series, and computing. Through these representatives, the students have a real voice in the decision-making.